It’s just about a week away from the day when all manner of strange and scary creatures will flood towns and cities all across the country. No, I’m not talking about Election Day, I’m talkin’ Halloween!. So join UNCLE PETE on a rare trip to The Cinema Graveyard for our annual Halloween week DARK VAULT OF PUBLIC DOMAIN screening of the horror classic – Night Of The Living Dead! The Clones have been so busy, no one remembered to fetch a feature from the Graveyard. So it’s into the Dark Vault Cruiser and off to the wide stoney spaces for a feature always worthy of the holiday. Night Of The Living Dead is director George Romero’s first foray into the horror film world. Set in the Pittsburgh, Pennsylvania area (and that’s pretty scary all by itself), we find the dead have risen from their graves everywhere and have an appetite for human flesh. One theory in the film is that contamination from a returning space probe is responsible, but I always suspected fluoride. Our movie opens in a fun place that looks much like the Cinema Graveyard. Barbra (Judith O’Dea) and her brother encounter the first of many walking dead (Bill Hinzman) who kills the brother and pursues Barbra (guess the dead ate the “a” out of her name) to a farmhouse where she meets our hero Ben (Duane Jones). A few other regular folks drop by. And then it’s a non-stop parade of hungry ghouls. It’s fresh air and wide open spaces for UNCLE PETE out in the Cinema Graveyard. While poking around, he also finds a great cartoon extra. 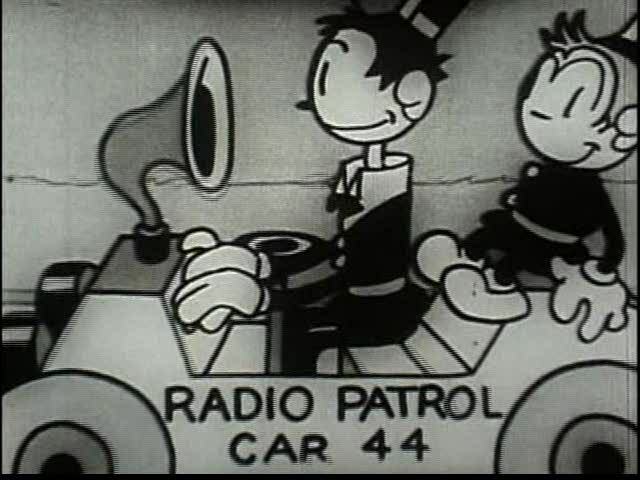 From 1933, it’s one of our favorite cartoon teams – Tom and Jerry (the tall guy and the short guy, not the cat and mouse) on the trail of a mummy thief in Magic Mummy. But UNCLE PETE is not alone. There’s a slow-moving friend approaching from behind with the air of rotting flesh – and he looks hungry! 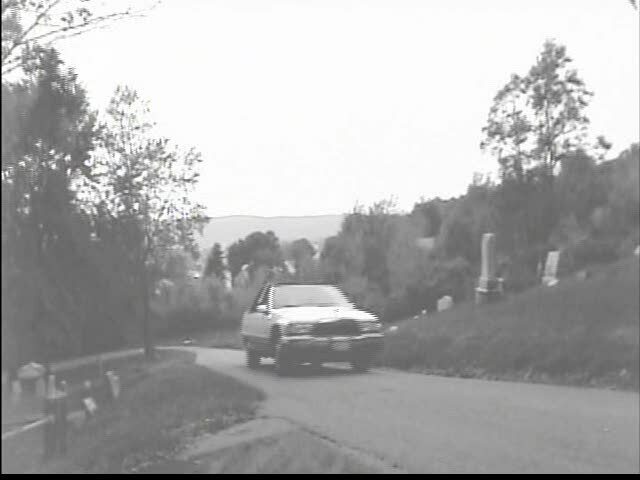 So tune in this week, Saturday, October 25, 2014 from 10PM to midnight on channel 4 in Binghamton, 99 in Hornell/Corning/Elmira, 17 in Sayre, PA and make sure to tune in early to see the original Dark Vault Cruiser tour through the Cinema Graveyard – some rare footage not unlike the opening of our movie. 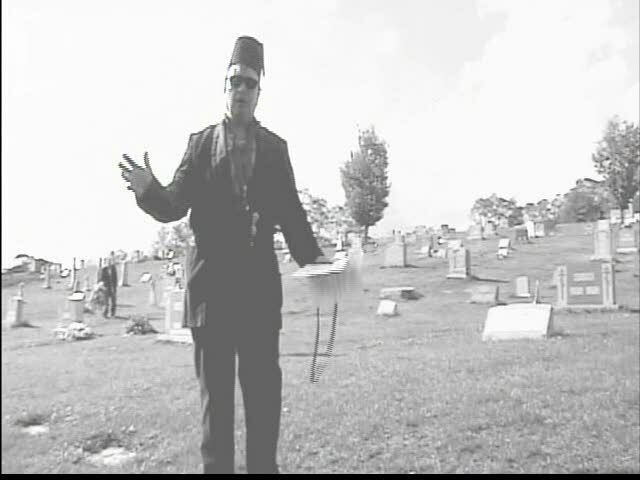 It’s UNCLE PETE (and uninvited friend) bringing you Night Of The Living Dead on the next DARK VAULT OF PUBLIC DOMAIN! ~ by UNCLE PETE on October 24, 2014.